Looptastic HD, the new large-screen version of Sound Trends’ flagship Looptastic Producer iPhone app, is now available in the iTunes App Store, where Apple is featuring it as a New and Noteworthy iPad app. The iPad’s larger screen puts all of Looptastic’s realtime performance controls into a single window, making mixing more intuitive and tactile than ever. Now the loop browser, X-Y effects pad, scratch strip, crossfader, and tempo control are always at hand, and the elastic mixer provides fingertip control over 22 loops at once, up from 10 on the iPhone. The powerful new processor in the iPad expands Looptastic HD’s performance capabilities as well. Mobile musicians can now load 25% more audio loops at once. To harness that potential, Looptastic HD includes almost every Loop Set in the Sound Trends Loop Store — 900 high-quality audio loops, nearly 80 minutes in total length. Genres include Ambient, Breakbeat, Drum ’n’ Bass, Dubstep, Hip Hop, Minimal, Progressive House, Reggaeton, and Trance. 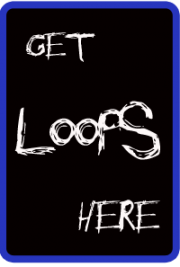 The loops are available via free download from within the app. * Widescreen mixer holds 32 loops with 22 on screen; cue up to 26 while the music plays. * Free download access for 900 loops — nearly 80 minutes of samples. * Nine realtime effects with X-Y touch pad control, including Bit Crusher, Multimode Filtering, Flanger, Delay, and Glitchy Repeater. * Automatically time-stretches all loops to fit the master tempo. * Triple-zone mixer with crossfader for cues and breakdowns; apply effects to any zone. * Unique scratch strip retriggers a loop from anywhere in the waveform. * Capture and export performances to Mac or PC as 16-bit stereo AIFF files. * Import audio loops from compatible applications via Sonoma Wireworks AudioPaste.